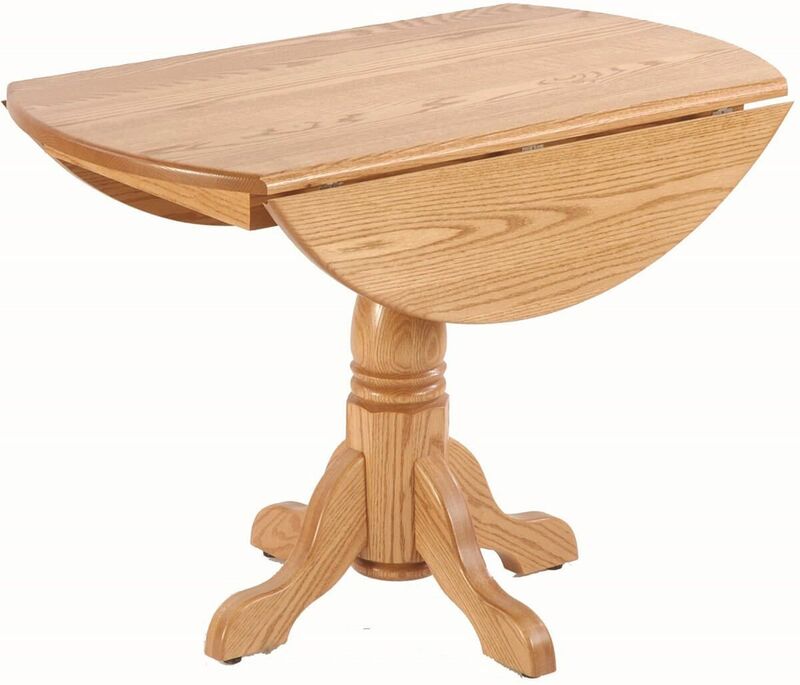 While our Rhett's Round Drop Leaf Table is shown in solid Oak, your made-to-order Amish table is available in the American hardwood of your choice. Our Rhett's Round Drop Leaf Table is equipped with two 9" drop leaves, which makes it convenient to put up against a wall. Perfect for a small dining room or tight quarters, the single pedestal table has a 42" diameter with the drop leaves in place. This drop leaf table comes in a variety of woods and stains so you can match your existing furniture. Each drop leaf table is constructed by the Amish from solid hardwoods and then finished with a catalyst finish to ensure beauty and longevity.